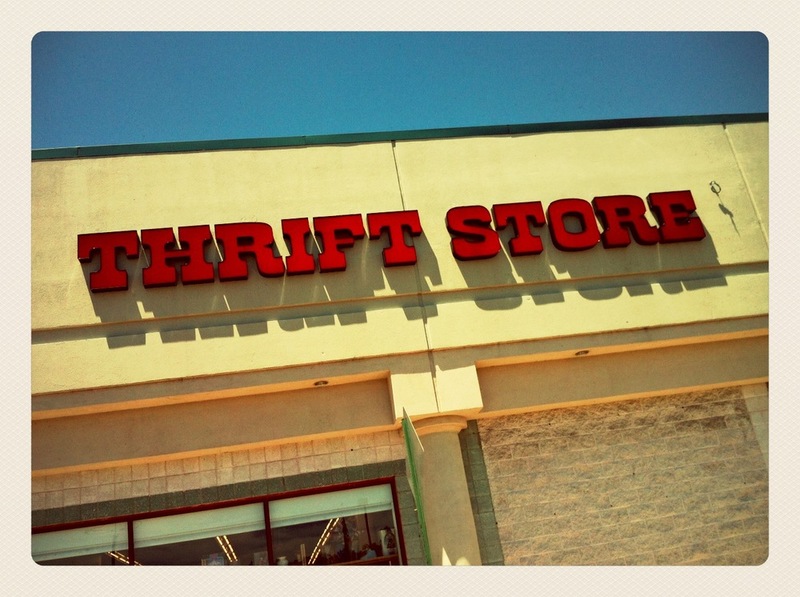 Forget the fancy marble floored malls, Mum and I just had to visit the biggest secondhand store we have ever known when we were in America! Unique is about the size of my local B and Q! We went in desperate for a portable high chair that I had forgotten to get out of the garage and pack in the suitcase and found one with a tray for $1.99, unbelievable! There were all sorts of things I wish I could have stuffed in my suitcase including these metal drawers that I would have loved to have given a face lift for when I have my own little office, a set of vintage suitcases ($3 each - incredible) and lots of picture frames that were just beyond, what our already straining luggage allowance, would cope with! Mum couldn't resist buying this metal trike for big boy (excuse the fuzzy photo after all it was an action shot!) for $6 and luckily we were able to take that one home as a piece of Mum's luggage! It kept him entertained whilst we browsed through the aisles of bargains! The store bags up, in what looked like big freezer bags toys, books and nick nacks. All for around $1. I bought a few puzzles and play figures to keep the boys happy at Uncle Pat's house and Mum spotted the best find. A set of 6 old metal medals for 99c each - perfect for decorations for small boy's birthday when we came home. If only our local charity shop was the size of a Homebase! Look how pleased small boy was with the trike! Poor boy can't even ride it yet! A transatlantic find for Magpie Monday!